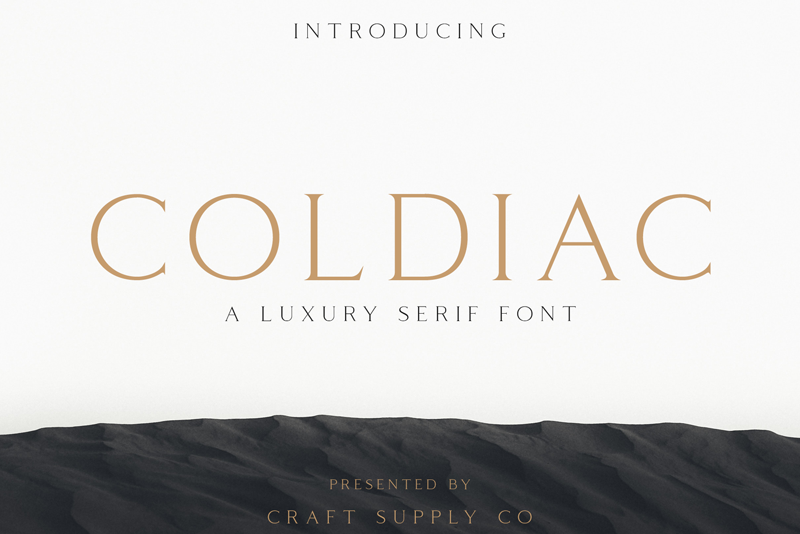 Download Coldiac font for free. Coldiac is a font / typeface offered for free. please note that if the license offered here is non-commercial you have to obtain a commercial use license / permit from the original author. Coldiac – Luxury Serif Font also suitable for art, modern envelope lettering or book design, happening style like handdrawn design or watercolor design theme, craft design, any DIY project, book title, wedding font, pop vintage design, or any purpose to make our art/design project look pretty and trendy. If the Coldiac font is offered under 'commercial use free' or 'creative common' license, feel free to use Coldiac font for any purpose.